Equity Gallery is pleased to present Return to Me, a solo exhibition by Margaret Inga Urías. The exhibition will be on view from June 2 through July 15, 2017, with a public opening reception on Friday, June 2, 6-8pm. Urías presents glass sculptures, ink drawings, installations, and sound that explore the ethereal interconnectedness of existence, over vast expanses of time. Focusing on dust, from the cosmic to the quotidian, the works consider how entire worlds come from and return to this generative substance. If examined closely enough, the dust could tell the story of everything that ever existed. The exhibition functions as a memory archive and cosmic timeline, following the small and the invisible from the beginnings of time, to the here-and-now. Upon entering the gallery, viewers will encounter glass blocks: intricate engravings, carved in thick, scientific glass, that delineate a complete mapping of the universe. Ink drawings on paper trace earthly detritus to their cosmic origins. 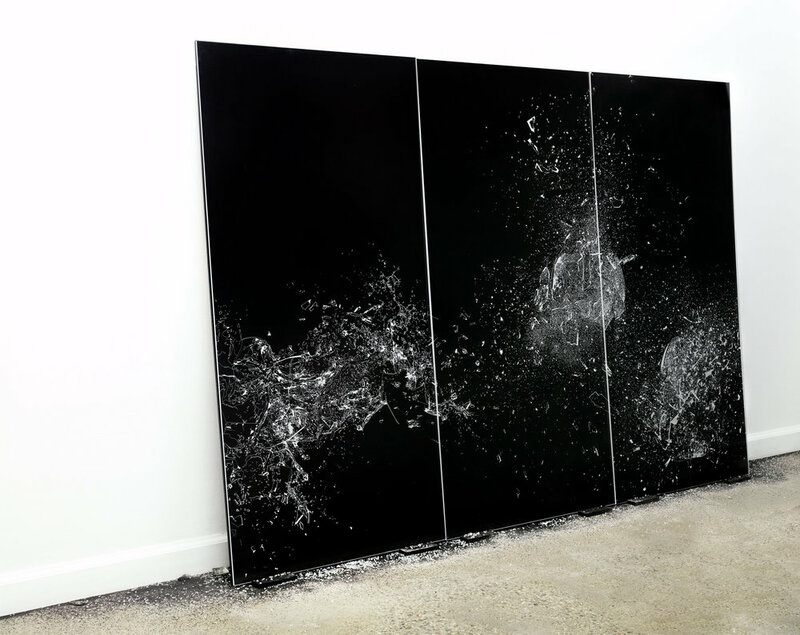 Glass-panel engravings explore the history of dust particles in interstellar space. A soundscape of the interactions of electromagnetic particles from the solar wind, ionosphere, and various planets’ magnetospheres permeates through the gallery. Urías’s art is rooted in research across the sciences, including planetary geology, cosmology, physics, and archeology. Spanning the macro to the micro, Urías presents, through dramatic shifts in scale, the beauty inherent in scientific fact. She examines how infinitesimally small particles connect us to our present, past, and future: how we are born of dust, how we return to it, and how we are all forever connected through it. Margaret Inga Urías (b. 1978 in Wrocław, Poland, lives and works in Long Island City, Queens) received her MS from Pratt Institute in 2004 and her BA from Barnard College, Columbia University in 2001. 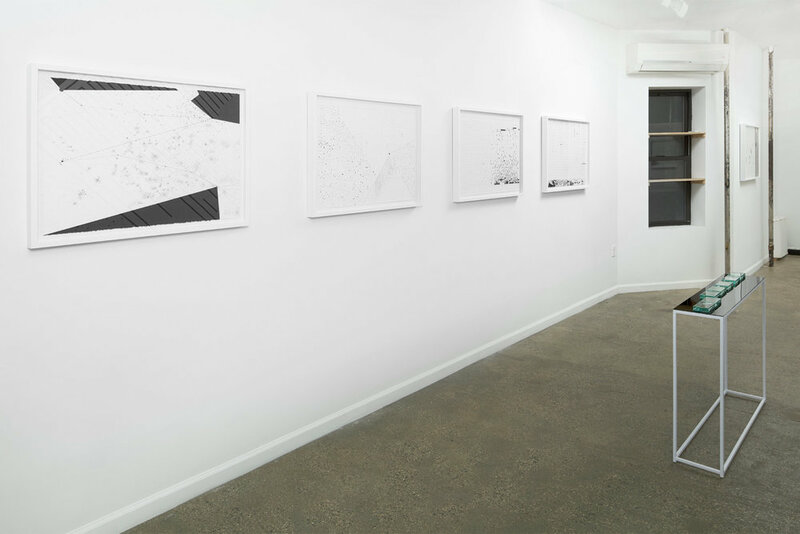 Urías is a recipient of the Chenven Foundation Grant (2014), the Pollock-Krasner Foundation Grant (2013), and the New York Foundation for the Arts fellowship in Drawing/Printmaking/Book Arts (2011). She was recently a resident at the Saltonstall Foundation for the Arts Residency in Ithaca, NY (2015) and the Artist in the Marketplace (AIM) program at the Bronx Museum of Art (2014). Her work is held in private collections in the U.S., has been commissioned for permanent, large-scale public art projects, and has been exhibited in galleries, museums, and public venues throughout New York.